Better ski days start with better ski pants. Descente's Stock Insulated Ski Pant sets itself apart with insulated 20K/10K weatherproofing and highly athletic Motion 3D Fit stretch movement. This pant frees you to ski without worrying about cold, wet legs or stiff, uncomfortable fabric. The stretch boot cuffs provide precise fit, as does the adjustable waist. Inside ventilation lets you pop open the windows whenever you need. "Hello, according to Descente website, this ski pants come in size 30. Can Citron Color in Size 30 be ordered through you?" "Please contact our customer service department at 1-800-818-0946 so that we can give you further information on our special order policy." 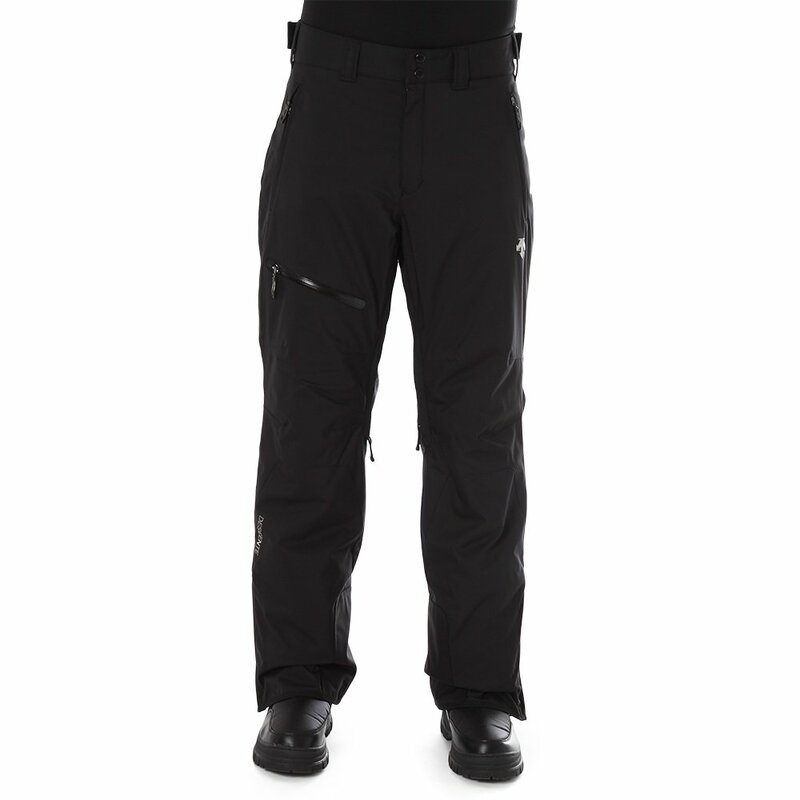 "Am interested in Descente Ski Pant D6-5101 in Size 34 graphite but need a 'Long". The site just shows sizes not lengths. Can you let me know if you have this item in a 34/Long? Thank you! " "This is a regular length pant. The options that we carry in a long inseam can be found here ." "How close is Citron to the yellow that Head uses in its Stivot helmets?" "As we are not currently carrying that particular helmet we cannot physically compare both colors, but we can say that this pant in 'Citron' is a vibrant, light yellow with a touch of green in it." "What would the inseam be on a 42 regular? Thanks! " "The inseam for the size 42 is 33.5". Hope this information helps!" "I am size 35 pants...what is the correct size for ski pants. First timer "
"Based only on your waist measurements we would recommend a size 36 pant. We would highly recommend taking a look at the size chart provided to get a better idea based on other measurements what size would be best for you. Hope this information helps." can not go wrong on these or other descente pants , all fit great and wear forever and super warm even in below zero weather. I am very happy with overall fit and make sure you guy a size as you have side pulls which snug up a great fit.- price now is way below closeout ski shop prices. Insulated. Lots of pockets. Adjustable waist. Air vents. Great!